"These pathogens on privacy curtains often survive and have the potential to transfer to other surfaces and patients," said co-author Lona Mody, a doctor and researcher for the University of Michigan Medical Center. "As privacy curtains are used all over the world, it's a global issue." The bugs in these cases likely moved from the patient to the curtain, the findings suggested, but the opposite is "certainly possible", Mody told AFP. "Hospital policies vary tremendously, but typically include changing privacy curtains every six months or when visibly soiled," Mody said. 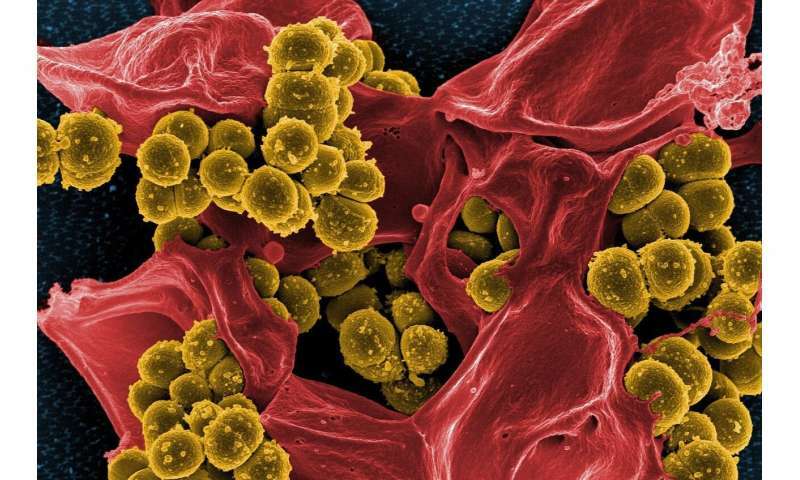 Previous research has examined their capacity to retain bacteria, but this is the first to look at a "post-acute" setting, the authors said. "There is an increasing recognition that hospital environments play an important role in transmission of pathogens," Mody said. "Privacy curtains are often touched with dirty hands after a patient interaction," she added. "They are cumbersome to disinfect and clean." The researchers said their findings—based on "traditional microbiologic methods"—needed to be duplicated using more advanced genomic methods.